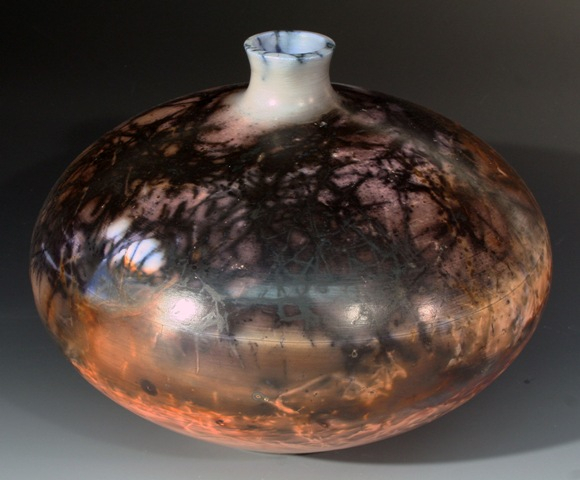 Saggar-fired ceramics are fired at a temperature similar to Raku and use smoke to decorate the surface. Each one is unique. 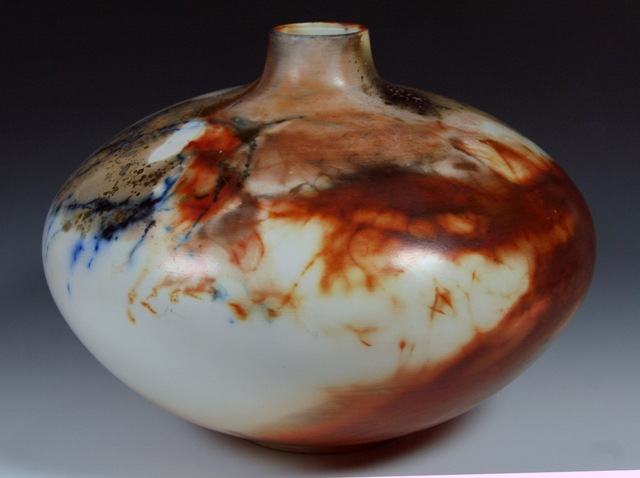 The firing process is very different than conventional ceramics. When the pieces are bone dry a fine grained slip is applied to the surface. 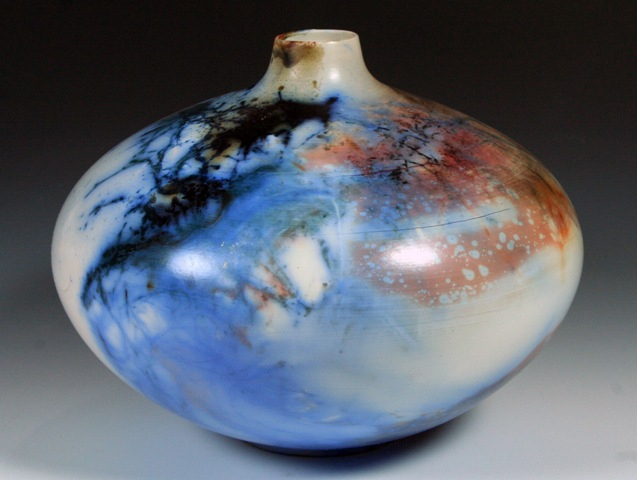 This slip is called terra sigillata and is very similar to the slip glazes used by the ancient Greeks. The piece is then bisque fired. The second firing is the saggar firing. Pots are packed in larger pots called saggars with various combustible materials including saltmarsh hay, seaweed, feed hay, sawdust, kosher salt, miracle gro, and whatever I can experiment with. I mix saltmarsh hay with oxides to increase the color palette. They are then gas fired to 1600 F. This bonds the smoke and colors to the terra sigillata surface. The work is decorative only and should not be used to hold liquids. Clean with a damp cloth. Refresh the shine if needed by buffing with a soft cloth.